Summary: Jesus is the Prince of Peace, Why am I so depressed? Someone pondered what the first Christmas might have been like if wise women had come from the east instead of wise men. They would have asked for directions, made it to Bethlehem on time, helped with the delivery, cleaned up the stable, made a decent meal, and brought some practical gifts. The Wise men were the equivalent of Albert Einstein. * Knowledge of math, science, astronomy, history, & agriculture. * Historians believe that you didn’t become king in Persia w/o the scientific and religious disciplines of the Wise Men. *The prophet Daniel dealt with the Wise Men in Babylonia. 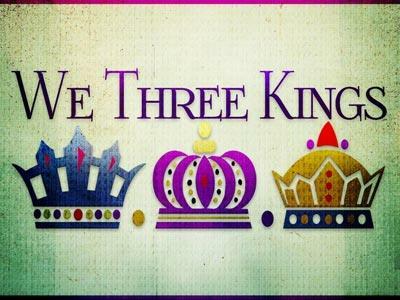 This is probably why they were looking for one who has been born king of the Jews. Mt 2:1 Now when Jesus was born in Bethlehem of Judaea in the days of Herod the king, behold, there came wise men from the east to Jerusalem, 2 Saying, Where is he that is born King of the Jews? for we have seen his star in the east, and are come to worship him. 6 And thou Bethlehem, in the land of Juda, art not the least among the princes of Juda: for out of thee shall come a Governor, that shall rule my people Israel. 7 Then Herod, when he had privily called the wise men, enquired of them diligently what time the star appeared. 8 And he sent them to Bethlehem, and said, Go and search diligently for the young child; and when ye have found him, bring me word again, that I may come and worship him also. 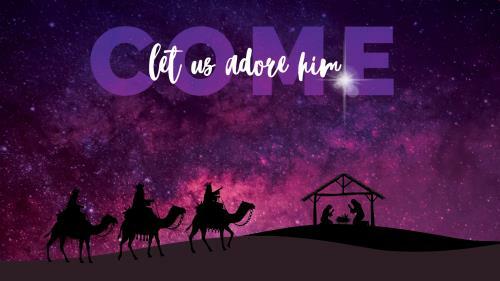 9 When they had heard the king, they departed; and, lo, the star, which they saw in the east, went before them, till it came and stood over where the young child was. 10 When they saw the star, they rejoiced with exceeding great joy. 11 And when they were come into the house, they saw the young child with Mary his mother, and fell down, and worshipped him: and when they had opened their treasures, they presented unto him gifts; gold, and frankincense, and myrrh. 12 And being warned of God in a dream that they should not return to Herod, they departed into their own country another way. * The wise men were satisfied with their Christmas. You can have a better than usual Christmas. I hope you’ll decide to get the things of Christmas that can’t disappoint you. Let’s look at two things we can do that can help us have a better than usual Christmas. I. SEEK THE RIGHT THING. What do you want out of Christmas? What would make it wonderful? I remember the Christmas that I got a used Roadmaster Bicycle. I was so happy I almost overlooked all the fireworks that were decorating the Christmas Tree. I also remember getting underwear and shoes for Christmas, I was so disappointed. We’ve all been disappointed by Christmas because it didn’t deliver what we were looking for. I heard someone say that getting satisfaction with the Christmas Parade, Christmas tree, Christmas Lights or Christmas Presents is like going to a fine restaurant setting down to a beautiful rib eye steak and getting excited over the silverware. * Christmas wasn’t the problem. * Our expectations were for more. * We’re looking for the wrong thing! The wise men show us how to make this Christmas better than usual by showing us the right thing to look for. V2 Saying, Where is he that is born King of the Jews? for we have seen his star in the east, and are come to worship him. 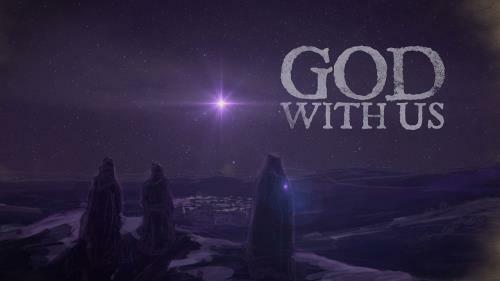 The wise men came to Jerusalem looking for an opportunity to worship Jesus. *The wise men not only looked for the right thing, they looked in the right place. We can be or will be disappointed. *Jer. 29:"  You will seek me and find me when you seek me with all your heart. I will be found by you," declares the LORD,...."
Jesus is the Prince of Peace, Why am I so depressed?